jan 31 -- the NBC television show "friday night lights"
the television show "friday night lights" prominently featured chris' version of "i remember" from his solo record "INCREDIBLE LOVE" at the end of the jan 31 show. watch it online by clicking "part six," and, after a short ad, sliding the time bar to where there is about 3 minutes left. you can also see chris perform 'i remember' live (starting at 5:15). july 7 -- the boredoms performing with 77 drummers (including cb)! 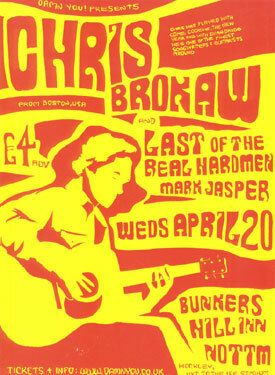 CHRIS began playing solo in late 1999. initially, the shows were for solo electric guitar and tambourine, but he eventually added vocals, and finally switched to acoustic guitar in 2002. chris also performed in 2005 and 2006 with the CHRIS BROKAW ROCK BAND featuring jeff goddard (ex-karate) on bass and kevin coultas (ex-rodan) on drums. chris' solo records include "red cities" (2002), "wandering as water" (2003), "my confidante + 3" (2004), "i was born, but. . ." original film score (2004), and "incredible love" (2005). chris has performed in this band with DOUG MCCOMBS (pullman, tortoise, 11th dream day, etc) and ELLIOT DICKS (ex-nerves) sporadically since 2006.
this band is a side project from moore's work with SONIC YOUTH, put together to tour in support of moore's solo record "trees outside the academy," released in september 2007. chris plays guitars in the band, which also includes STEVE SHELLEY, SUMARA LUBELSKI, and TOM HAYNER. 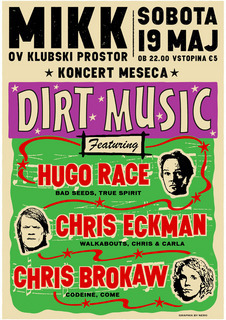 shows in the US and europe are scheduled for 2007.
chris has collaborated with HUGO RACE (ex-bad seeds) and CHRIS ECKMAN (ex-walkabouts) on a new project in 2007 entitled DIRT MUSIC. 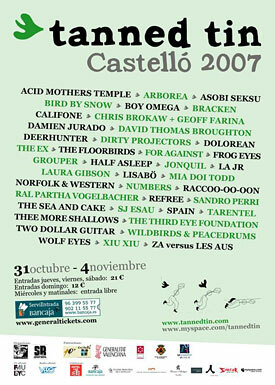 they played shows in europe in may-june 2007 and recorded an album in prague for release later in the year on GLITTERHOUSE RECORDS. 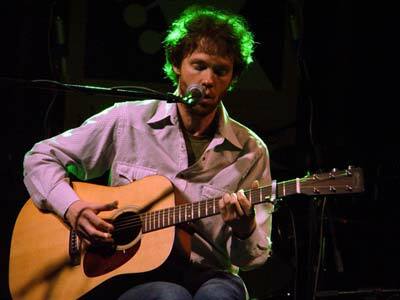 chris began playing and touring in 2006 with TWO DOLLAR GUITAR, which is TIM FOLJAHN and STEVE SHELLEY (see two dollar guitar at myspace). chris plays guitar in the band. 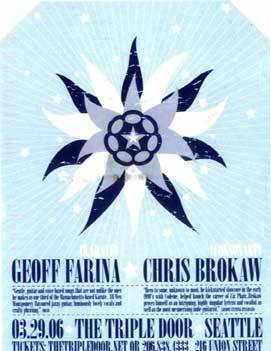 chris and GEOFF FARINA (ex-karate) have been performing together since late 2006 and are at work on an album comprised almost entirely of pre-WWII blues songs. THE EMPTY HOUSE COOPERATIVE is a free-floating collective of musicians, spearheaded and masterminded by multi-instrumentalist DAVID MICHAEL CURRY (willard grant conspiracy, thalia zedek, will oldham, boxhead ensemble) and specializing in improvised music. the ehc has existed for nearly 10 years and includes stalwart members of the music communities of boston, new york, montreal and louisville, ky. recordings include the full-length cd "improvisational music" (2001) on hinah records in france, featuring a trio of curry, brokaw and cellist jonah sacks, and "painted plane" (2004). brokaw, curry and sacks performed with the american repertory theatre in march 2003, in the production of "highway ulysses."